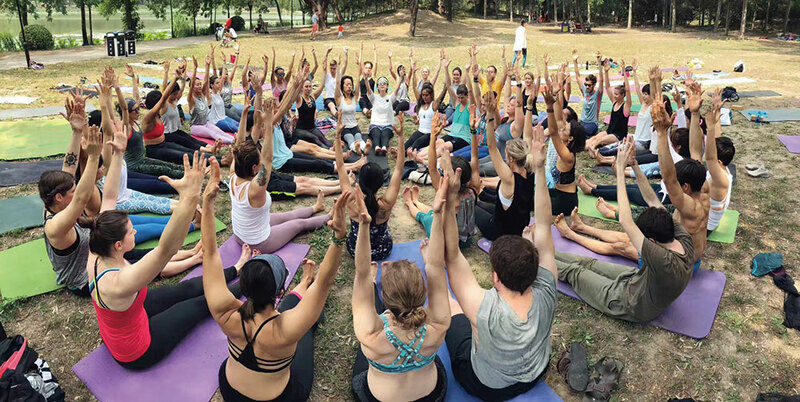 Surrounded by embassies, Chaoyang Park is the largest, most Western-style park in the city and is very popular with middle-class Chinese families and the expat community. Lined with shops, restaurants, and residential compounds, this area is easy for daily living. Solana Lifestyle Shopping Park is pretty much modeled after the mixed indoor/outdoor malls of the west, while nearby Liangmaqiao is a busy commercial area with many expat conveniences and high-end hotels where you can enjoy some amazing fine dining options. This neighborhood is a great option if you require a space that isn’t flooded with cars and electric scooters to get a run in every once in a while. Several residential compounds are available in Chaoyang. Palm Springs has north-facing units overlooking Chaoyang Park, a Roman-style garden, large clubhouse with an indoor swimming pool, children’s playground, sauna, and gym—it’s no wonder it’s popular with families. Park Avenue has a shopping complex with imported groceries, cafes, and sporting good stores in addition to its children’s playground, swimming pool, and gym. Greenlake Place is another option, and has many stores, restaurants, and even a Jenny Lou’s in the compound. 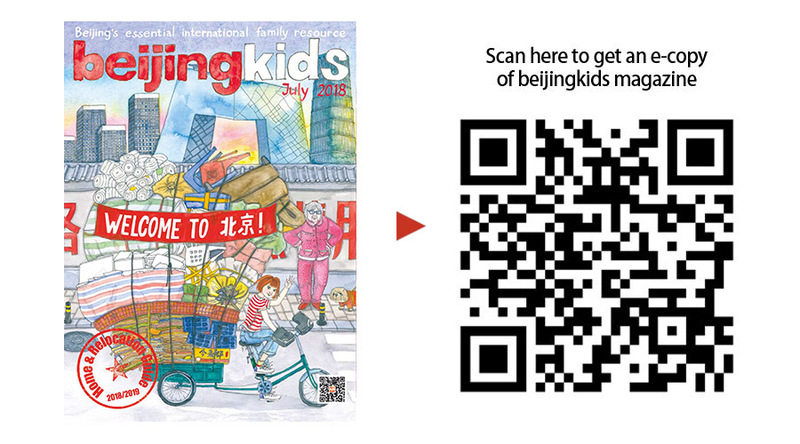 Canadian International School of Beijing (CISB), Beanstalk International Bilingual School (BIBS), House of Knowledge Schools and Kindergartens (HoK), and Ivy Academy are all top notch and convenient options if you are residing in this area of the city. Solana Lifestyle and Shopping Park (featured photo) is a large, popular open-air mall next to Chaoyang Park. It’s one of the most known shopping centers for families, and features International name brands like Zara, Uniqlo, Muji, H&M, American Eagle, Gap, and more. 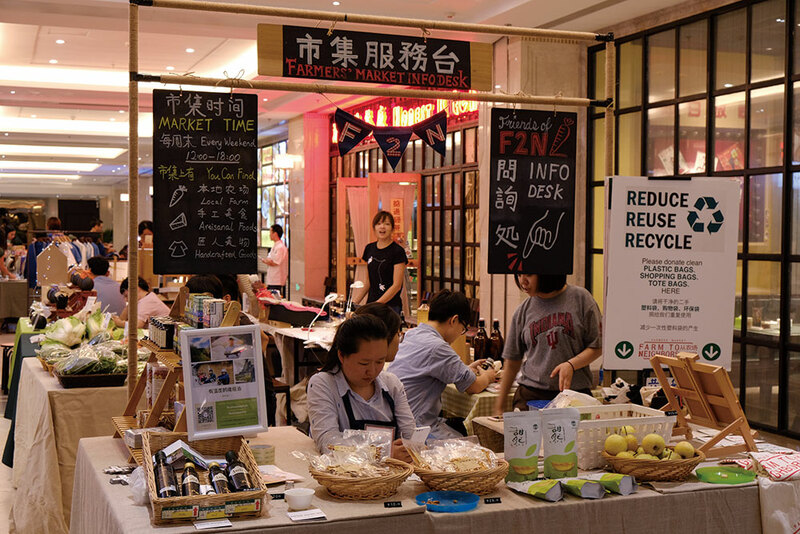 Also, if you are craving something that’s not all that different from the farmer’s markets back home, check out Farm2Neighbors at Beijing Grand Summit each weekend for a selection of some of the city’s best vendors of organic produce and specialty goods. If you are looking for international restaurants in the neighborhood make sure to head to Beijing Grand Summit where you’ll find Baker and Spice, Obentos (Japanese, healthy), and much more, or head to Solana which houses Beijing favorites like Moka Bros, Tribe, and Tube Station Pizza. Just a short jaunt away from Solana to Maizidian and you’ll find some of the best Japanese food in Beijing at restaurants like Yume Wo Katare, serving up hearty bowls of ramen, or Vin Vie, where you’ll find inventive izakaya with a western touch. As the largest patch of green space in Beijing, Chaoyang Park is the obvious choice. Entrance is inexpensive and there’s a lot of room to move around. Young visitors can fly kites, rent a pedal boat for the lake, go on fairground rides, or even participate in group yoga and exercise classes on the weekends if weather and AQI permit. When your kids are exhausted from the park, Solana Lifestyle Shopping Park is located a stone’s throw away. This family favorite has been open since 2008, with its fountains and whimsical decorations. Indoors, there’s an entire children’s wing with play facilities and family-oriented shops.